A Skull Fracture describes any injury to the head or skull that results in a fracture of the skull bones. It is a common condition in both children and adults and is often associated with a head injury. It can potentially lead to disability or death. What are the Causes of Skull Fracture? What are the Signs and Symptoms of Skull Fracture? How is First Aid administered for Skull Fracture? Who should administer First Aid for Skull Fracture? The individual with the Skull Fracture or someone near the affected person, or qualified healthcare personnel, may administer first aid. What is the Prognosis of Skull Fracture? The prognosis depends on the severity of the Skull Fracture and the prompt treatment rendered. Mild injuries have better prognoses than severe Skull Fracture injuries. How can Skull Fracture be Prevented? Rollins, M. D., Barnhart, D. C., Greenberg, R. A., Scaife, E. R., Holsti, M., Meyers, R. L., ... & Metzger, R. R. (2011). Neurologically intact children with an isolated skull fracture may be safely discharged after brief observation. Journal of pediatric surgery, 46(7), 1342-1346. Liu, X. S., You, C., Lu, M., & Liu, J. G. (2012). Growing skull fracture stages and treatment strategy. Journal of Neurosurgery: Pediatrics, 9(6), 670-675. Sanchez, T., Stewart, D., Walvick, M., & Swischuk, L. (2010). 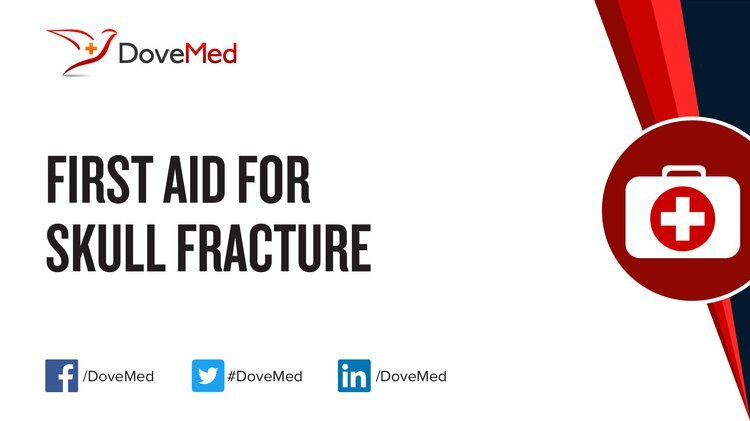 Skull fracture vs. accessory sutures: how can we tell the difference?. Emergency radiology, 17(5), 413-418. Mulroy, M. H., Loyd, A. M., Frush, D. P., Verla, T. G., Myers, B. S., & Cameron, R. (2012). Evaluation of pediatric skull fracture imaging techniques. Forensic science international, 214(1), 167-172. Bin, S. S., Schutzman, S. A., & Greenes, D. S. (2010). Validation of a clinical score to predict skull fracture in head-injured infants. Pediatric emergency care, 26(9), 633-639. Saadat, S., Rashidi-Ranjbar, N., Rasouli, M. R., & Rahimi-Movaghar, V. (2011). Pattern of skull fracture in Iran: report of the Iran National Trauma Project. Ulus Travma Acil Cerrahi Derg, 17(2), 149-51. Sahoo, D., Deck, C., Yoganandan, N., & Willinger, R. (2013). Anisotropic composite human skull model and skull fracture validation against temporo-parietal skull fracture. journal of the mechanical behavior of biomedical materials, 28, 340-353.